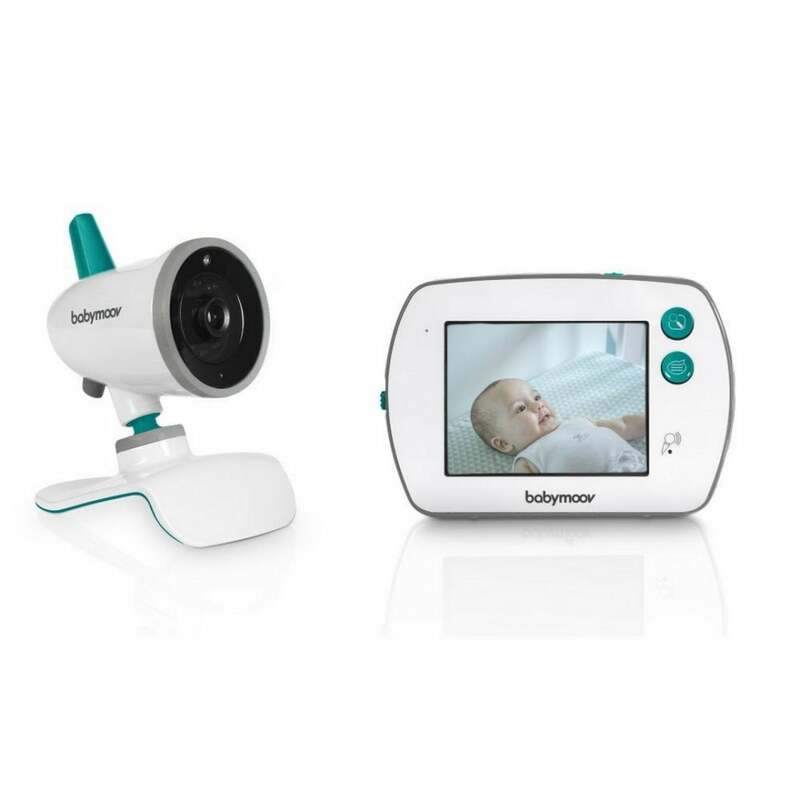 The Babymoov YOO Feel Video Baby Monitor is a stylish, practical and simple to use baby monitor with a touch screen, night vision and everything else you need to get started straight out of the box. Why should I choose the Babymoov YOO Feel Video Baby Monitor ? The Babymoov YOO Feel Video Baby Monitor is a simple yet stylish video monitor. Rather than complicating things with a long set up process, you simply plug it in and you are ready to go. Its 3.5" touch screen receiver has been designed for tech savvy parents. Added extras of a lullaby function and a built in night light make the Babymoov YOO Feel Video Baby Monitor the perfect edition to your baby's nursery. The interface of the Babymoov YOO Feel Baby Monitor is simple to use. It includes a visual and audible alarm to make sure you are aware of any potential problems. You even have a 2x zoom for an extra close look at your baby. Designed to fit into any stylish nursery, the Babymoov YOO Feel Baby Monitor looks great with chrome inserts and little splashes of colour. For even more peace of mind, you can add up to 4 cameras meaning you can keep an eye on your baby anywhere in the house. What are the specifications of the Babymoov YOO Feel Video Baby Monitor?